Follow these steps when someone is having an allergic reaction. 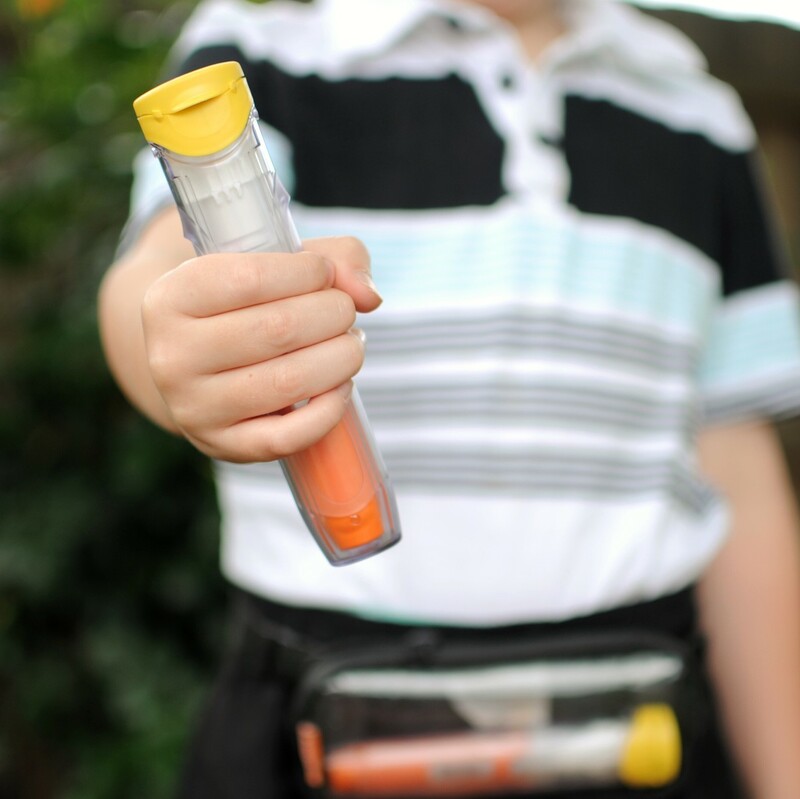 If you have been diagnosed with a food allergy, your doctor or allergist will prescribe an epinephrine auto-injector. Epinephrine is the drug form of a hormone (adrenaline) that the body produces on its own. It is the only drug that can reverse symptoms of anaphylaxis. Epinephrine rarely causes harm, even if given when not needed. There are two types of auto-injectors in Canada: EpiPen® and a temporary supply of AUVI-Q® auto-injectors (as of September 2018). You can buy an auto-injector without a prescription in Canada. Give epinephrine (e.g. EpiPen® ) at the first signs of an allergic reaction. Call 9-1-1 or your local emergency medical services and tell them that someone is having an anaphylactic reaction. Give a second dose of epinephrine as early as 5 minutes after the first dose if there is no improvement in symptoms. Go to the nearest hospital right away (ideally by ambulance), even if symptoms are mild or have stopped. The reaction could get worse or come back. Call emergency contact persons (e.g., parent, guardian, spouse). Don’t delay in giving epinephrine! That’s one of the most common mistakes people make during anaphylactic reactions. Epinephrine is safe, and it can save a life. Don’t hesitate to use it. Keep in mind the following body positions while giving epinephrine and waiting for emergency care to arrive. When giving epinephrine, have the person sit or lie down, depending on the symptoms. Once it has been given, place the person on their back (if they are not already lying down) with their legs raised. Someone who is having difficulty breathing should be kept sitting up or in a position of comfort. If the person feels sick or is vomiting, place them on their side so that their airway is clear and they do not choke on vomit. An unconscious person should also be placed on their side. Remember: standing suddenly can lead to severe complications, even death. 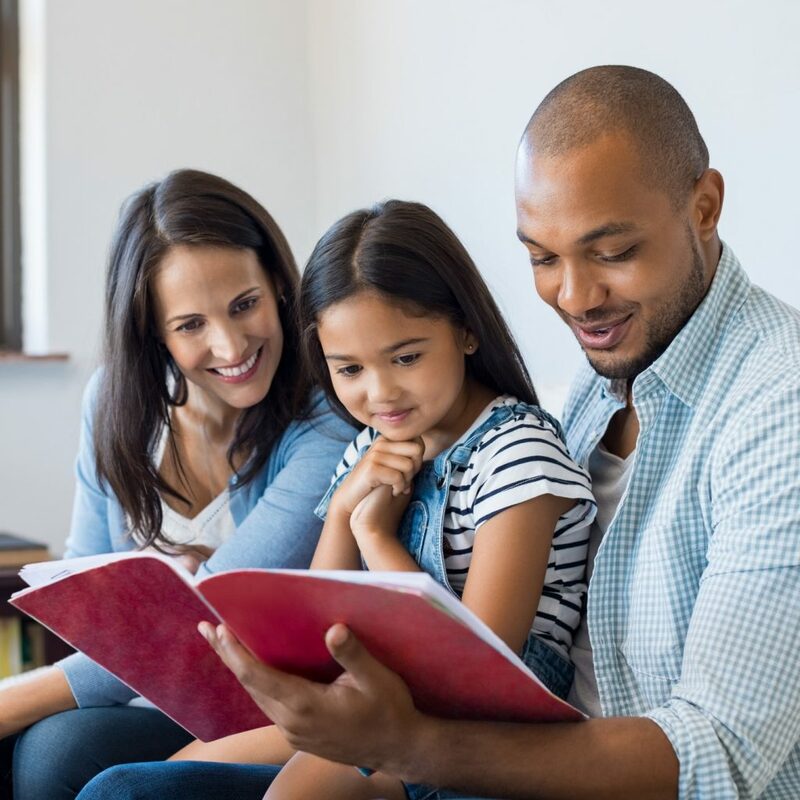 You are a role model for your child. As your child grows and learns to carry their own auto-injector, they will remember your example. Learn more. Visit our emergency information page for 6 key points about emergency treatment from Canadian allergists.